Penguins have many ways of keeping their feathers in tip-top shape so they can stay as warm as possible. One important behavior that helps keep their feathers in great condition is a type of grooming called preening. Since penguins swim in cold water currents and spend most of their time in the water, staying warm is extremely important. 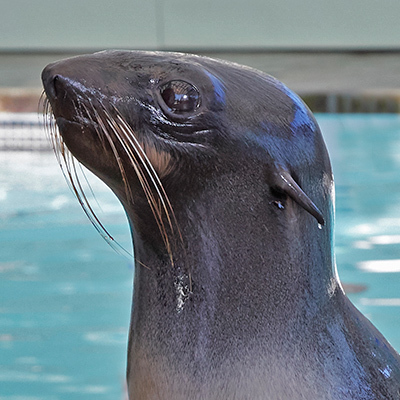 Their feathers create a waterproof barrier between their skin and the ocean. Their feathers have a soft, inner downy portion that traps air to contain body heat. 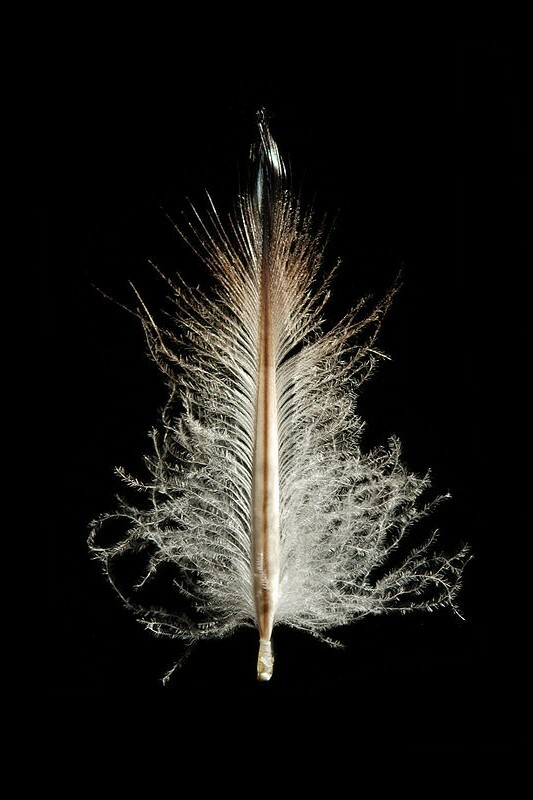 The outer end of the feather is stiff and interlocks with other feathers, like shingles on a roof, to keep water out. 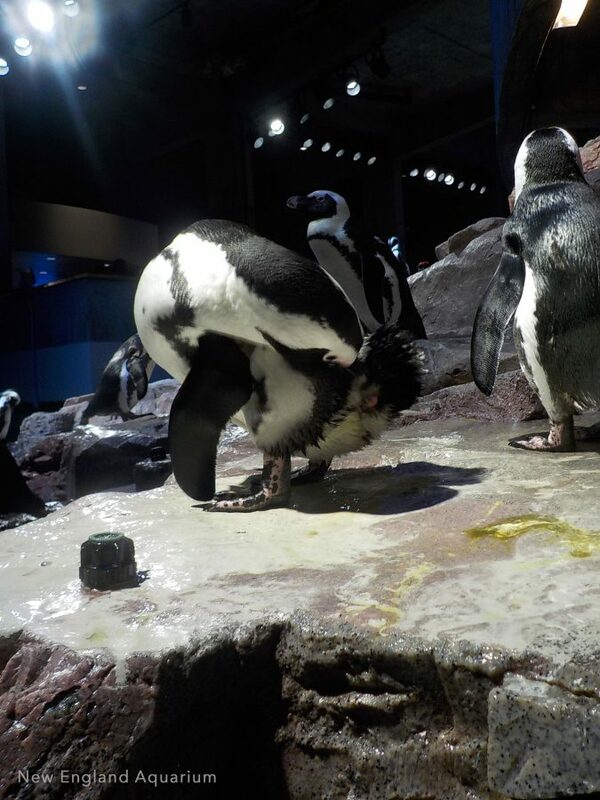 An African penguin retrieves preen oil from the preen gland located at the base of her tail. Penguins have a gland near the base of their tail called the uropygial gland, informally called the oil gland or preen gland. This gland is present in most birds and produces a type of oil referred to as preen oil, which may contain antibacterial properties. Penguins use the tip of their beaks to retrieve the oil from that gland and spread it along their feathers to help condition them. Conditioning feathers keeps them healthy so they will lock together to keep out water. This can also help rid their feathers of any dirt or debris that they might encounter in their travels. 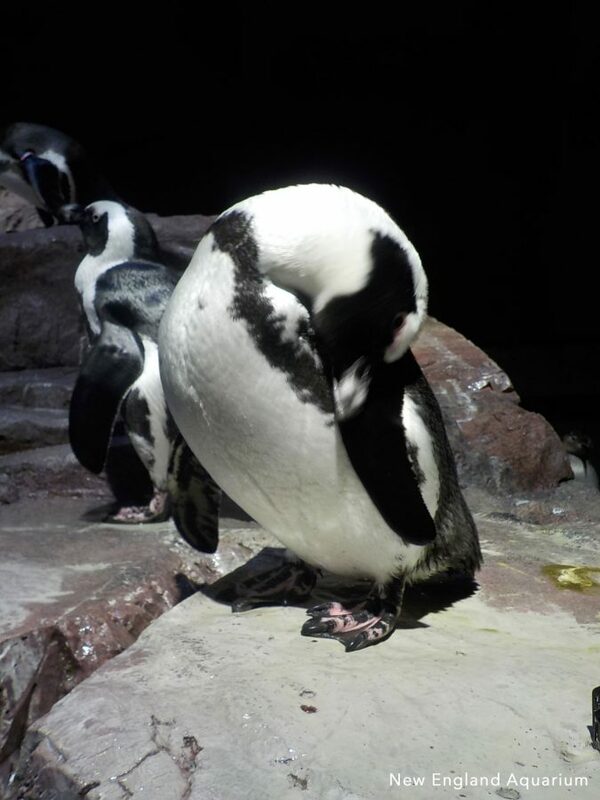 Penguins have densely packed feathers, making preening their whole bodies no easy task. Penguins can preen while swimming. A little blue penguin preening its chest feathers. 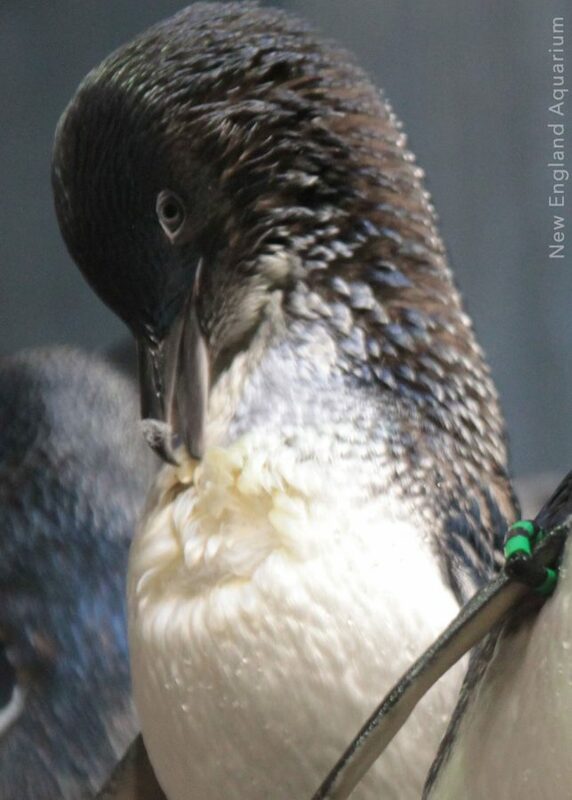 An African penguin tidies her head feathers. While preening is beneficial to keep their feathers intact, if penguins are impacted by an oil spill, they can accidentally ingest that crude oil while they are using their beaks to preen. Oil also causes their feathers to clump or mat and reduces their waterproofing capabilities. Oil spills can mainly be prevented by the companies that manufacture and distribute oil, but you can help by reducing dependency on fossil fuels to reduce oil tanker traffic in the oceans where penguins live. 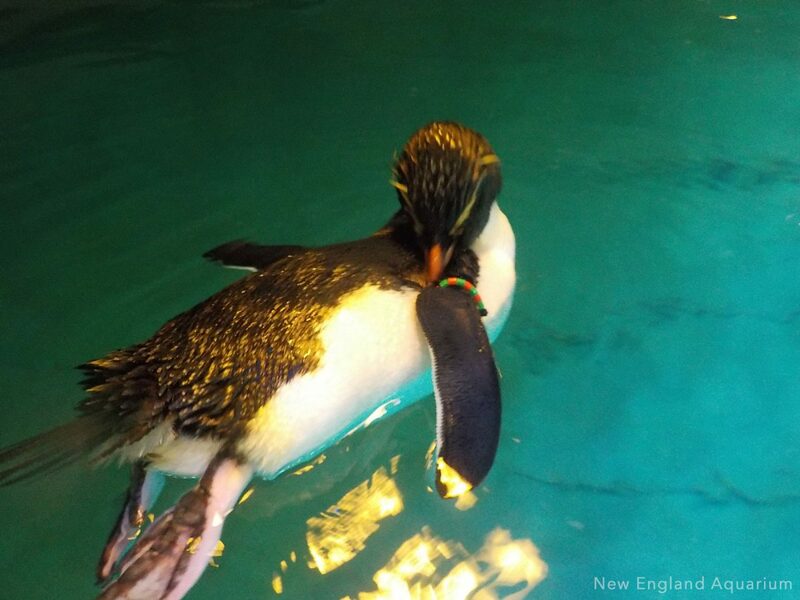 You can also help protect penguins’ feathers in the wild by always properly disposing trash and recycling. 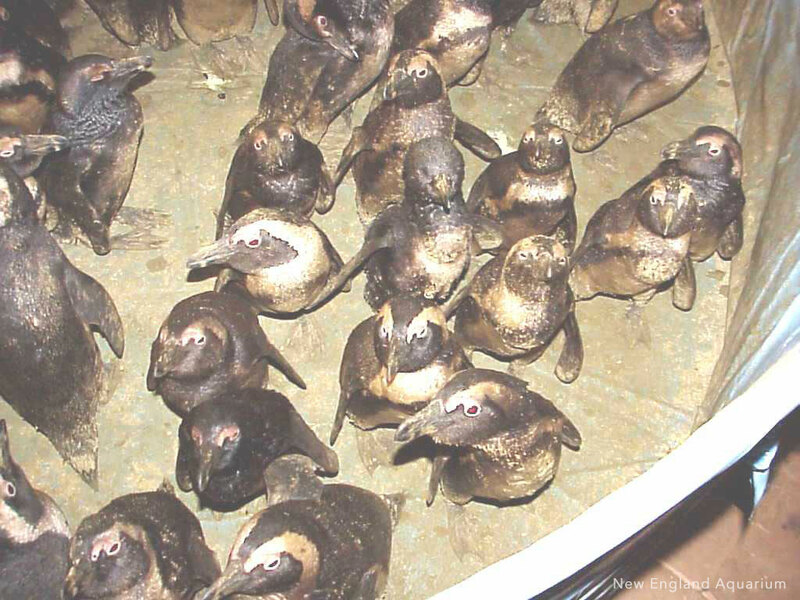 A group of African penguins is covered in oil from the Treasure Oil Spill in 2000. 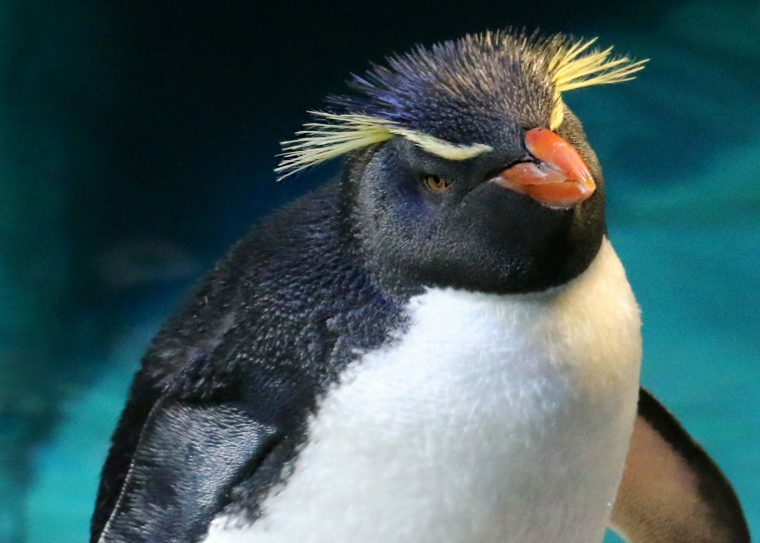 As you can imagine, some areas on penguins’ bodies (like the back of their heads) might be very difficult or impossible to reach with their beaks. 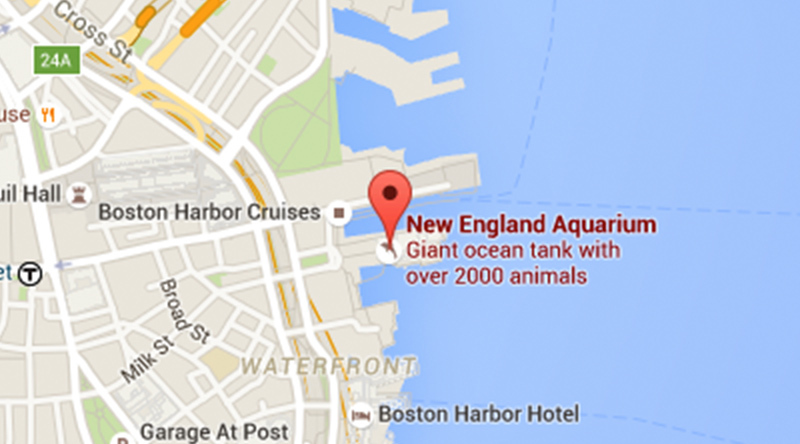 There are two ways that penguins tackle this problem. Penguins can spread the oil along their wings and then rub the top of their head along the wing margins. Or, a friend or mate can help them reach those tough to get spots. 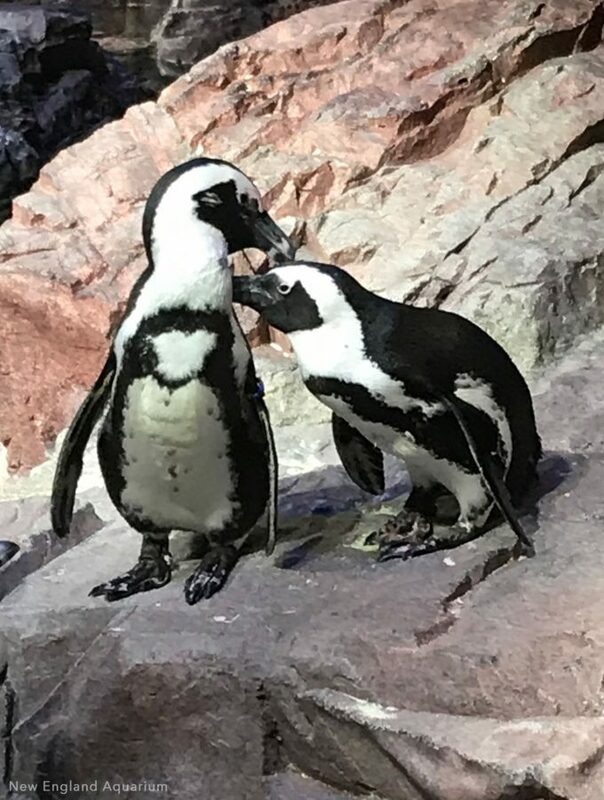 When penguins preen each other it is called allo-preening or mutual preening and it can be a courtship and bonding behavior. Penguins preen themselves both in and out of the water. 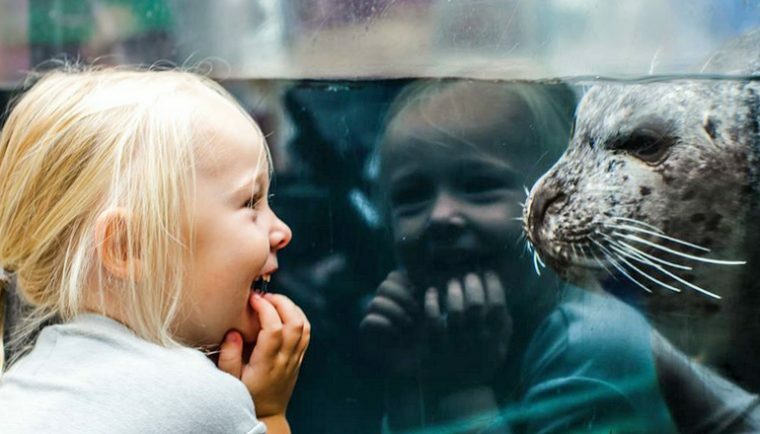 When swimming, they can access those harder to reach areas. 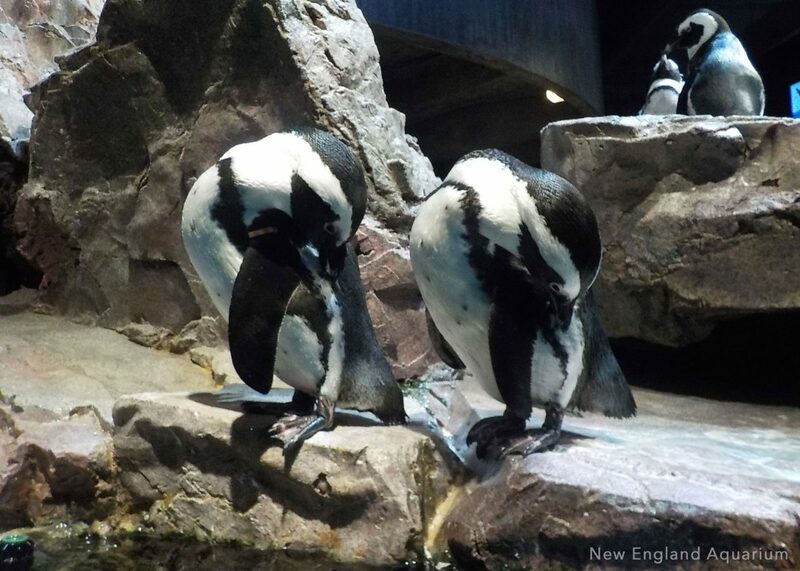 Stop by the New England Aquarium to see this preening action up close! 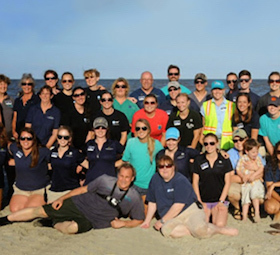 If you are 18 or older, you can even apply to volunteer or intern in the Penguin Exhibit.